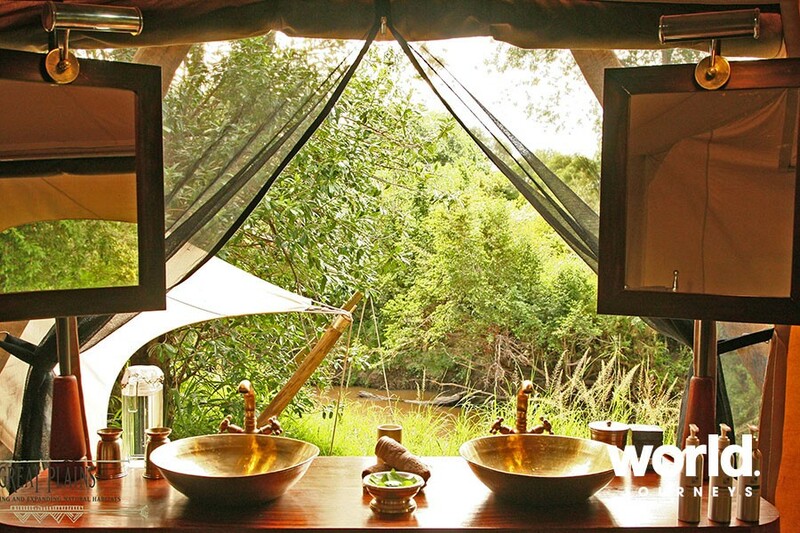 For the serious safari aficionado! Stay at luxurious, exceptionally placed properties with the highest calibre of professional guiding. Your wildlife experiences here will be up-close and personal because of the small number of guests and custom-designed vehicles. 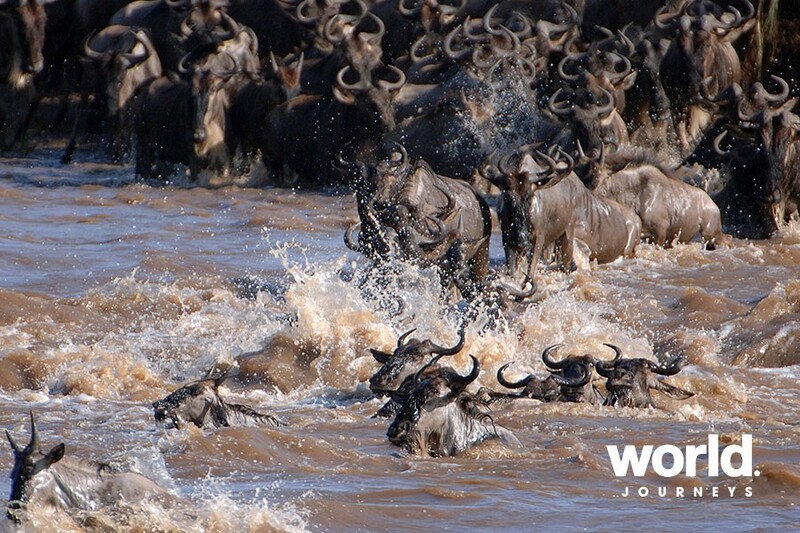 The memories of these safaris will live with you forever. Day 1: Nairobi > Masai Mara After a short flight to the Masai Mara, transfer to Mara Plains camp situated in a glade of trees and in the heart of predator country. 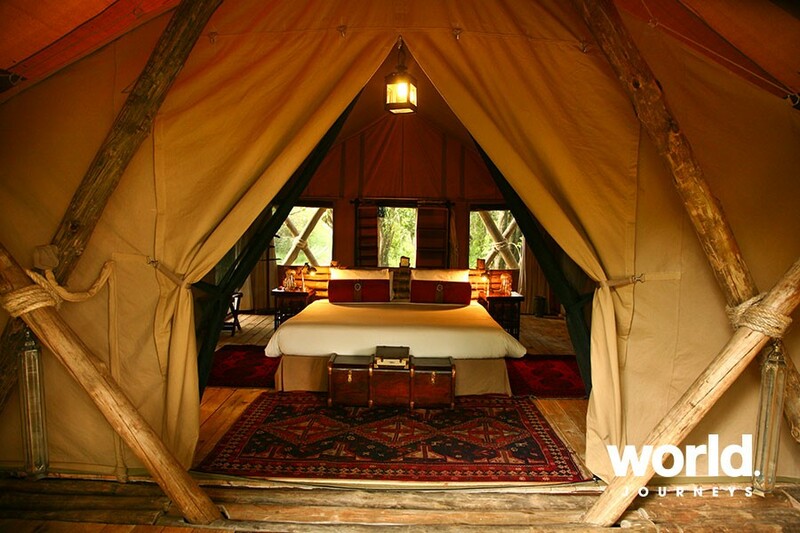 Custom designed tents of flowing canvas and canopied ceilings, en-suite flush loo, bucket showers - what we like to call 'glamping'. 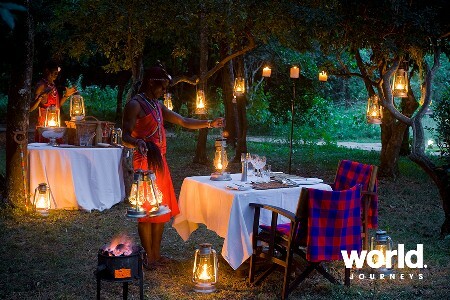 Enjoy your first afternoon game drive and sundowners to toast the African sun. 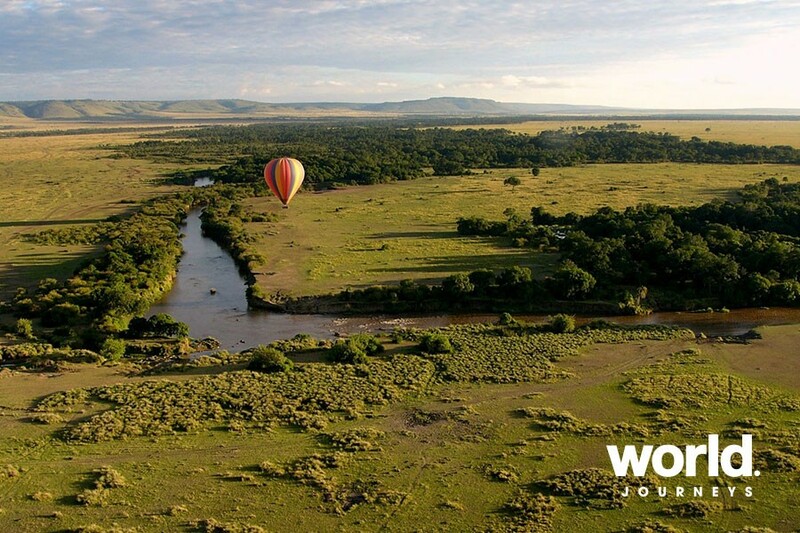 Days 2 & 3: Masai Mara Spend your days out exploring the 70,000 acre private Mara North Conservancy, shared with just a handful of other small camps or go into the famous Masai Mara Game Reserve to catch the river crossings during the great Migration season. Day 4: Masai Mara > Chyulu Hills Fly to Amboseli via Nairobi and upon arrival you will be transferred to Ol Donyo Lodge for the next 3 nights. 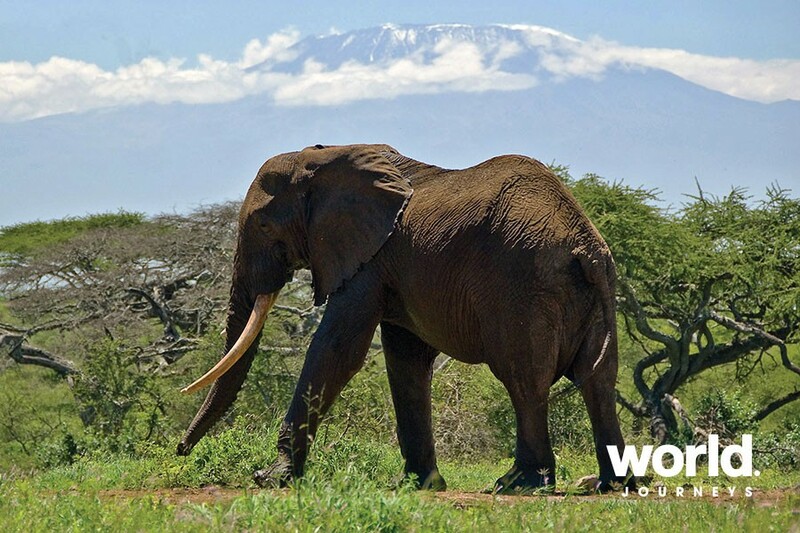 Located in the Chyulu Hills between Tsavo and Amboseli, the camp has all the wildlife action with the bonus of the impressive Mount Kilimanjaro as a backdrop. 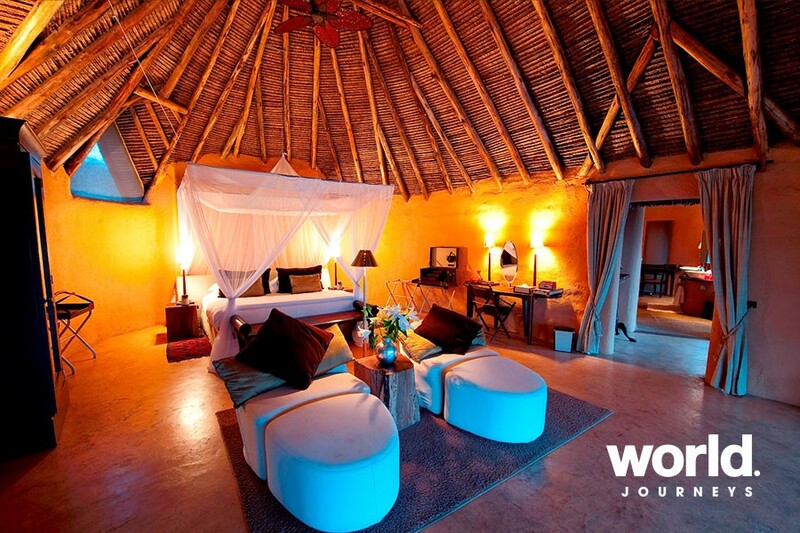 The lodge has 10 suites, all with inspiring views across the expansive plains, plus world-class service and food. Days 5 & 6: Chyulu Hills Your days can be spent on game drives, walking with expert trackers, horse riding, mountain biking, or with Masai interactions and more. While the "Big Five" are here - they can be masters of elusiveness; however, cheetah, elephant, fringe-eared Oryx, gerenuk, and giraffe make for easy viewing. This area is exclusive to lodge guests and has no other tourists, no fleets of mini-buses - just private, pure and wild. 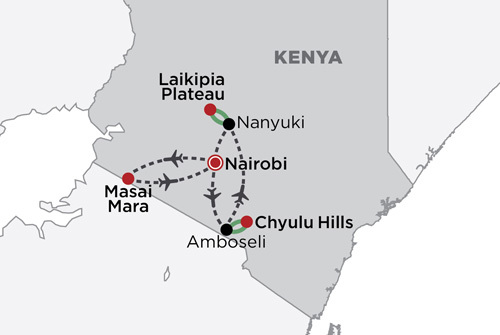 Day 7: Chyulu Hills > Laikipia Plateau Transfer to the airstrip for the flight to Nanyuki then transfer to Segera Retreat. 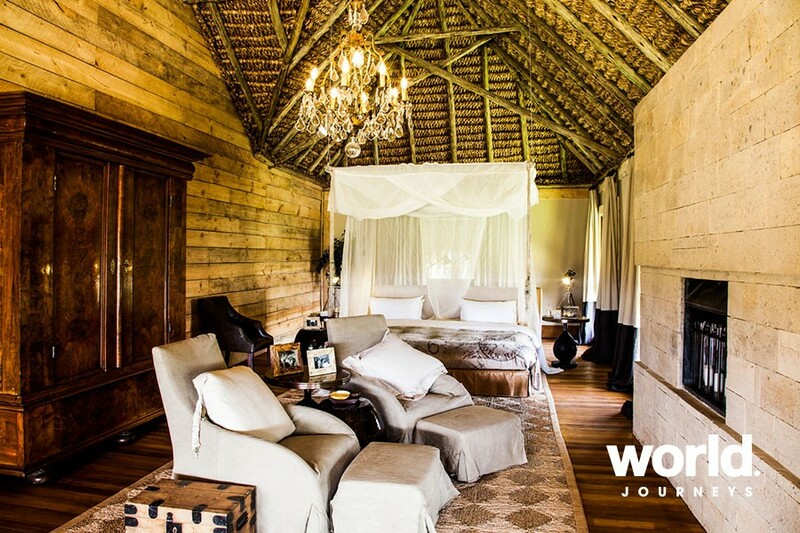 The six timber and thatch villas are solar powered and use rainwater harvesting and recycling systems to limit their impact on the surrounding environment. 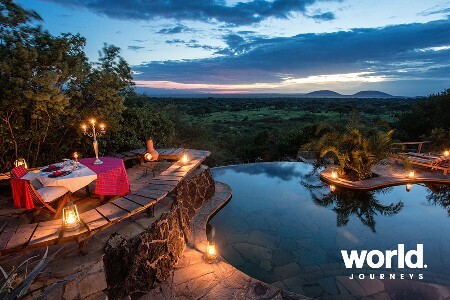 Each villa has a private Jacuzzi bath sunk into the deck, offering a unique vantage point over the Laikipia Plateau towards the spectacular Mount Kenya. 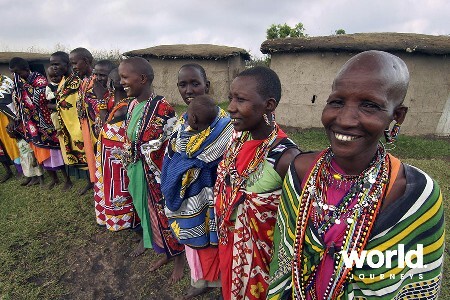 Day 8: Laikipia Plateau Activities are tailor-made to your preferences, including day and night game drives, picnics and sundowners, hides / lookout points, guided walks, camel walks, and a variety of community and environmental based options. 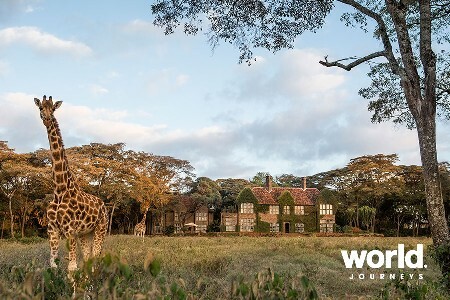 Segera has become a sanctuary for elephant, lion, leopard, cheetah, buffalo, eland and a wealth of plains game. 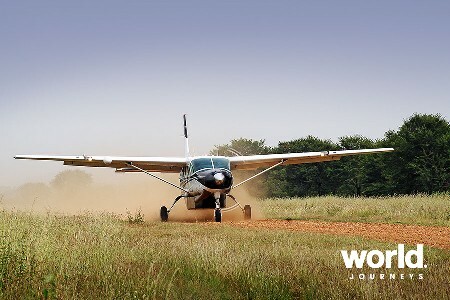 Day 9: Laikipia > Nairobi Transfer to the airstrip for your flight to Nairobi. Light aircraft flights may pick up and drop off other guests and may have intermediate stops. Single pricing is based on a single supplement when travelling with others. Price for solo travellers is available on request.